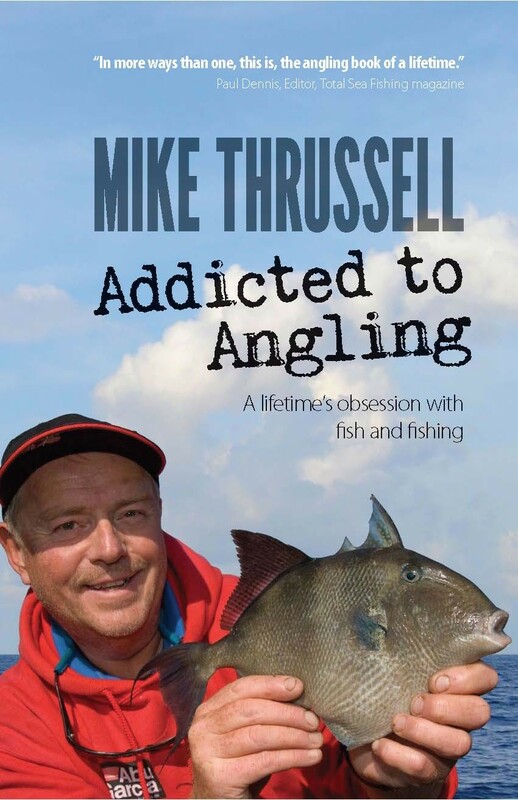 Mike Thrussell is one of the most recognisable names and faces in UK angling. Addicted To Angling is a detailed account of his lifetime’s obsession with fish and fishing, following an ever-expanding road of adventure, travel and personal growth. Taken in to the heart and mind of the author, readers will recognise and relate to the moment he crosses the line from being a fisherman to becoming an obsessive angler – one of a rare breed who have forged an entire career from the sport they love. It is a view of an often hidden world, but one that will open up opportunities for others that feel they too may, or must, follow a similar path. But Addicted to Angling is more than a personal journey: there is much to learn, too, and the detailed description of the capture of some incredible and unusual fish leaves readers with a wealth of tactics used to target not just the big fish, but also a wide number of individual species in the UK and across the globe. “Mike Thrussell’s Addicted to Angling gets to the heart of the sport – a personal contest between man and fish, a pursuit with remarkable highs and its fair share of lows.